Hewlett Packard Enterprise Co. today reported a loss for its fiscal fourth quarter, but blamed onetime tax charges and said actual profits rose by more than 50 percent from a year ago. The company also reported revenues and adjusted earnings per share that beat analyst expectations and maintained its full-year guidance for both the first quarter of 2019 and the full year. The company said its fourth-quarter loss was $757 million on revenues of $7.95 billion, up 4 percent from $7.76 billion a year ago. Adjustments related to last year’s tax reform act dragged down earnings by $1.4 billion. Adjusted profit was actually 45 cents per share, up from 29 cents a year ago. Analysts had expected a 42-cent profit on sales of $7.83 billion. In after-hours trading, HPE stock was unchanged after dropping nearly 3 percent on what was an overall dreadful day for Wall Street, with the Dow Jones Industrial Average sinking nearly 800 points. The results marked the fourth consecutive quarter of revenue growth for HPE following five years of shrinkage related to divestitures as the company exited the services business and much of the software market. HPE maintained its earnings-per-share guidance for 2019 of $1.51 to $1.61, up 8 percent year-over-year. Chief Executive Antonio Neri said the results demonstrated “meaningful top-line expansion” as the company exceeded revenue, earnings per share and cash flow targets it set a year ago. HPE returned $4.1 billion to shareholders in the form of share repurchases and dividends in fiscal 2018, up 39 percent from the prior-year period. Operating margins of 9 percent were up from 7.6 percent a year ago and cash flow from operations more than doubled to $3 billion from $1.3 billion. HPE has been making a shift that Neri characterized as “volume to value,” although he noted that shipment volume grew 7 percent in the quarter nonetheless. The value proposition is reflected in higher average selling prices and beefier margins. “We’re being more selective about where we invest for growth, and the figures show these investments are paying off,” he said. 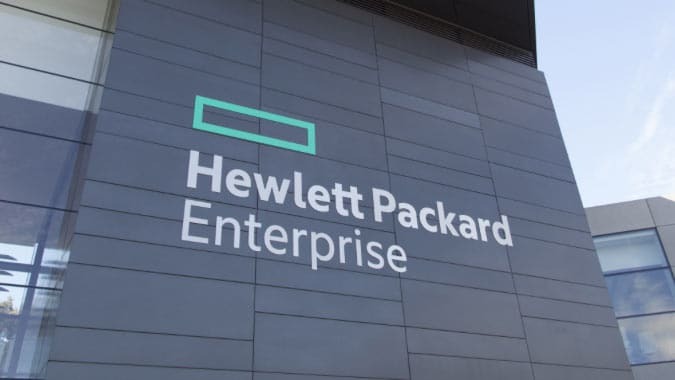 The company is also benefiting from HPE Next, a program to streamline operations, reduce management overhead and cut back on the variety of product configurations the company offers. The impact was evident in the quarterly income statement, which showed a decline of more than 8 percent in expenses compared to last year. Profitability was strong in all areas except Intelligent Edge, which Neri characterized as a major investment area. The Hybrid IT segment yielded profits of $764 million on $6.4 billion in revenue, an operating margin of nearly 12 percent. Geographic mix was also solid, with 42 percent of revenues coming from the Americas, 36 percent from Europe/Middle East/Africa and 22 percent from Asia-Pacific. Sales in the EMEA region were particularly strong, up 11 percent over last year. “HPE keeps transitioning from its traditional IT product and services role to a player that has to find revenue and growth alleys in areas like hybrid computing, big data and anything enterprises want to do with machine learning,” said Holger Mueller, principal analyst and vice president at Constellation Research Inc.
HPE Chief Financial Officer Tarek Robbiati, who joined the company from Sprint Corp. just last month, said information technology spending continues to be strong and customer demand is holding steady. “We’re confident we can head off unit declines with stronger [average unit prices],” he said. Neri was bullish about the long term as well, echoing recent comments by numerous other technology executives that IT spending is in a long-term growth trend. “Data growth outpaces computer growth, which means compute growth has to catch up sooner or later,” he said. Only 6 percent of the average organization’s data is currently being used, he added.